We are delighted to welcome Lawrence Stolworthy to the firm. Lawrence joins us as a senior solicitor in our Property Team, having spent several years at Charles Russell Speechlys LLP dealing with a variety of residential property work, including very high value transactional work and acquisitions for international investor clients. 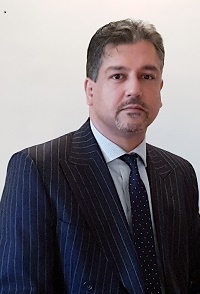 He also has considerable experience in dealing with property work originating from, or ancillary to, private client matters and family/matrimonial matters. Lawrence has lived and worked in Surrey for some years. He is delighted to join Meadows Ryan and is looking forward to working closely with the firm’s clients and contacts, both in the local community and farther afield. If you would like any further information regarding our property work or would like to discuss any such needs that you may have, please contact Piers Meadows (Managing Partner) or Lawrence Stolworthy, either by telephone on 01932 852057 or email to PiersMeadows@meadowsryan.com or LawrenceStolworthy@meadowsryan.com.